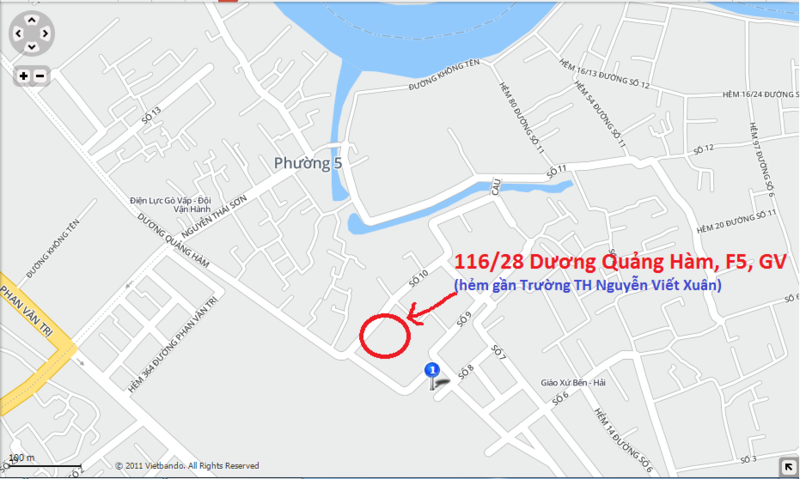 Mới về Laptop HP Workstation 8570w chuyên đồ họa - HP 8570w I7-3720QM, Ram 8GB, SSD Intel 180GB, VGA Nvidia Quadro K2000 (2GB), Full HD 1920x1080. HP 8570w giá rẻ. HP Elitebook 8570w Mobile Workstation : dòng máy trạm cao cấp nhất của Hp Elitebook, siêu bền, Chuyên dụng thiết kế. The contender. The EliteBook 8570w is a premium notebook designed to compete in the high-performance realm of professional workstations. Our review model doesn”t feature top-of-the-line components, however - it”s equipped with an Intel Core i5 CPU, Nvidia Quadro K1000M GPU, and a HD+ display. Can this less powerful version of the series stand up to its competition? HP is one of the few manufacturers offering mobile workstations - powerhouse notebook systems catering to the needs of demanding professionals - in their product portfolio. While Lenovo recently decided to drop their 17-inch workstation (thus only offering a 15-inch version), HP is expanding their selection. 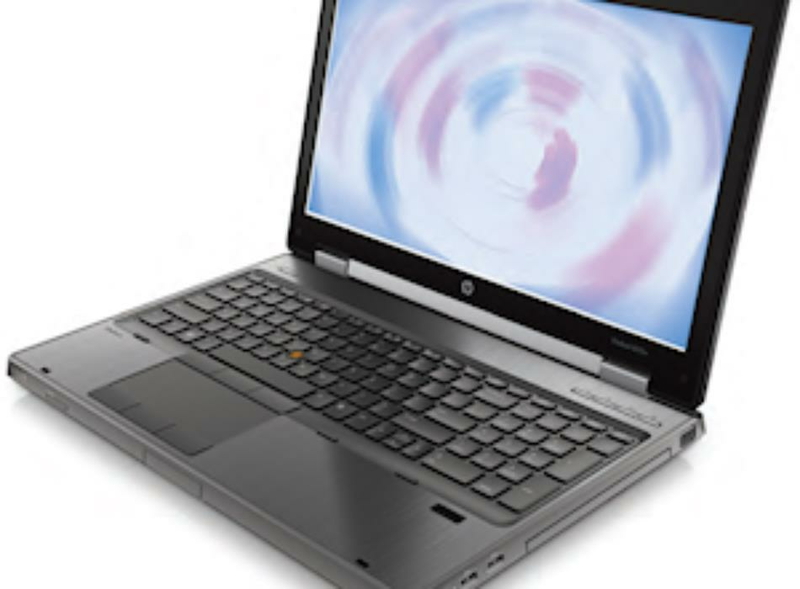 In addition to the 15-inch and 17-inch systems, HP now also offers the 14-inch EliteBook 8470w. While this smaller model brings portability to the workstation segment and the larger model is designed for flat-out performance, the 15-inch model offers a compromise as it bridges portability and performance. This mainstream-sized notebook also has the most configuration options. The spec sheet of the EliteBook 8570w lists three different professional graphics cards, three different displays, dual- and quad-core processors, up to 32 GB of RAM, a plethora of hard drive choices, and four different battery options. Our review model constitutes an entry-level configuration and features an Intel Core i5-3360M dual-core CPU, 4 GB RAM, a matte display with HD+ resolution, Nvidia Quadro K1000M GPU, and a conventional 500 GB hard disk drive. The street price for this configuration is around 1840 Euros (~$2350). 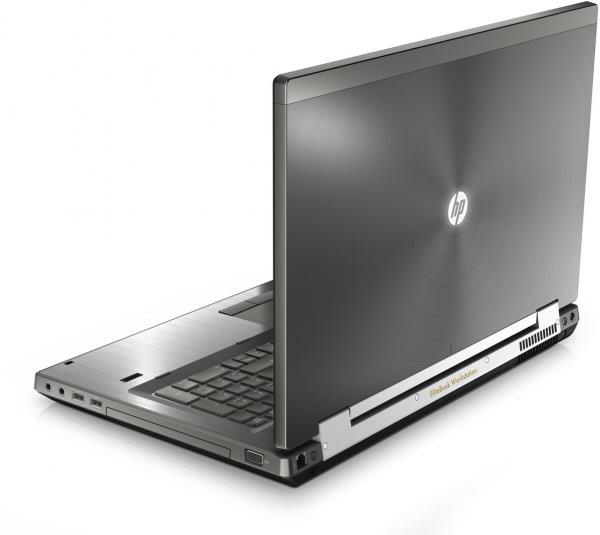 The HP EliteBook 8570w uses the same premium and very sturdy chassis featured in the predecessor HP 8560w. The chassis is very rigid and the materials are top-notch - not surprising if one considers the expectations of its target audience. As far as look and feel are concerned, the 8570w is clearly a step above some of the competition (Fujitsu Celsius H720 and the Lenovo ThinkPad W530 for example). Thanks to the superior build quality none of the surface areas flex even when a decent amount of pressure is applied. The entire unit features a matte and highly resilient finish and the brushed aluminum surfaces (which have a slightly greenish hue) look very classy. Overall this is very well designed chassis with no apparent weaknesses. The battery locks firmly into place, while the base unit features four fairly large rubber feet which allow the notebook to be used without the battery inserted. Thehinge design is solid and the display itself resists twisting quite well - without any impact on picture quality. The display locking mechanism features double hooks and uses a good-sized (but still unobtrusive) push-button as the release. As far as overall quality is concerned, the HP 8570w is on the same level as the Dell Precision M4700, followed by the Lenovo ThinkPad W530 and the Fujitsu Celsius H720. Of course the high quality has a negative impact on portability: the notebook weighs in at 3.25 kilograms (7.17 pounds) with the 83 Wh battery. According to HP, the minimum weight of 3.00 kilograms (6.61 pounds) requires an SSD and an empty bay drive (a blank is inserted instead). However, the HP EliteBook isn”t noticeably heavier than the competition. Our review model features - just like the predecessor - pretty much all the ports a professional user could want: USB 3.0, FireWire 400 (IEEE1394, 4 pin), eSata, and a DisplayPort, to name a few. Those needing even more (and/or exotic options) can always add additional ports via the ExpressCard34 slot. The location of the ports is also identical to the previous model, which is something not everybody might approve of. The ports are on the sides towards the front - which makes them easy to get to - but creates the potential for cables and devices crowding the work area. The VGA port is recessed too far into the housing and does not feature a screw terminal - some users who have an older VGA cable might not be able to attach it at all, while others have no way to secure those cables which do fit. This might not be a major issue, since most users nowadays will connect their displays using a digital connection (DisplayPort). 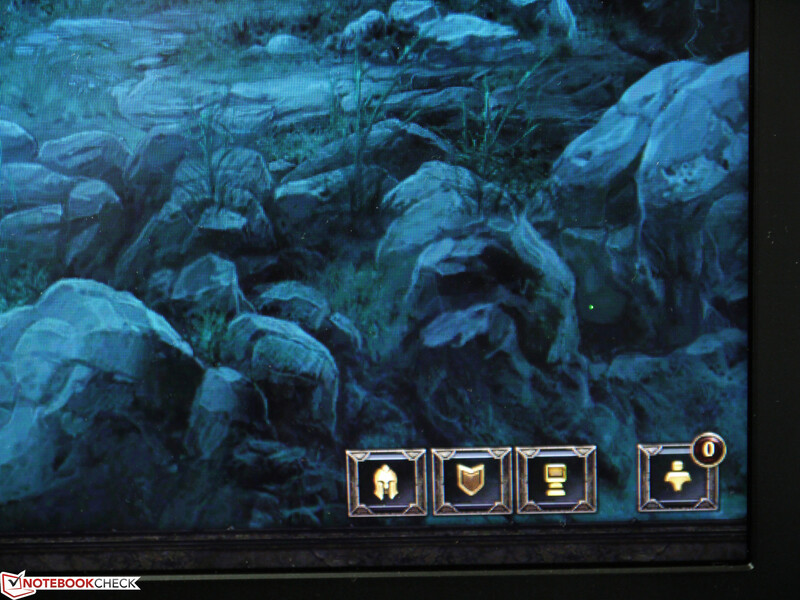 We checked the quality of the VGA port using an ASUS PA 238 Pro Art Monitor with 1920x1080 pixels resolution and found the picture to be very clear and sharp. We also checked the transfer speeds of some of the ports: we recorded 175 MB/s for an external SSD connected to a USB 3.0 port and 128 MB/s for a LaCie Quadra D2 hooked up via eSATA. The limitations in those cases are the devices - high-performance SSDs should achieve even higher speeds. Gigabit LAN, a webcam (in our case 720p), Bluetooth 4.0 and WLAN are pretty much standard nowadays. HP uses three different WLAN modules - with the Intel Centrino N6300 (802.11 abgn, three antennas, 3.4 GHz and 5 GHz) as the most powerful option. To provide connectivity away from wireless networks, the workstation can also be equipped with a mobile broadband module. Choices include the HP hs2350 HSPA+ and HP un2430 EV-DO/HSPA modules. Both can also be installed after the purchase, since the antennas are already pre-installed. The SIM card slot is located (as it is quite frequently) behind the battery. Some users will also appreciate the somewhat outdated modem connection, since it”s still useful for sending traditional faxes. Fingerprint reader, Trusted Platform Module, and various password options ensure the security. In addition, HP offers tools for hardware encryption, facial recognition, as well as an optional card reader. Depending on the various security needs, the user should be able to adequately protect his or her data. The most interesting option to use the integrated docking port is with the HP Advanced Docking Station HP A7E38AA (~200 Euros, ~$255). 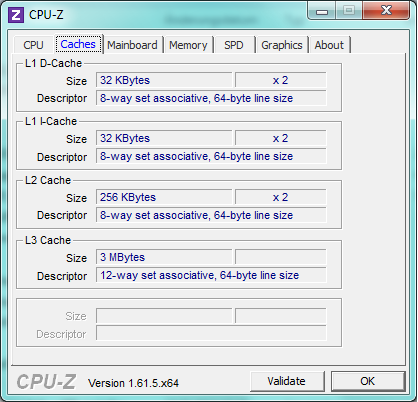 Depending on the graphics card, up to four displays (Nvidia) or five displays (AMD) can be addressed (including the notebook screen itself). This allows the user quite a bit of flexibility as far as different combinations are concerned - something that”s usually exclusive to desktops. The Advanced Docking Station features two DVI and two DisplayPorts, 4x USB 3.0, eSATA, and various additional ports. The maintenance cover on the bottom does not require tools (it”s screwless) and allows access to most of the components (RAM, hard drive, wireless modules, etc.). The fan is accessible as well and can be cleaned fairly easily if needed. Another advantage: there are open slots for an UMTS module and for an mSATA Solid State Drive, which allows the user the flexibility to upgrade at a later time if so desired. The "Maintenance and Service Guide", which is available online, gives detailed instructions on how to proceed with various other maintenance tasks. The Upgrade Bay can be configured with various optical drives, hard drives, SSDs, or a "weight-saver" module. The Bay Adapter with a 500 GB HDD (HP LX733AA 500GB SATA HDD) retails for about 140 Euros (~$178). 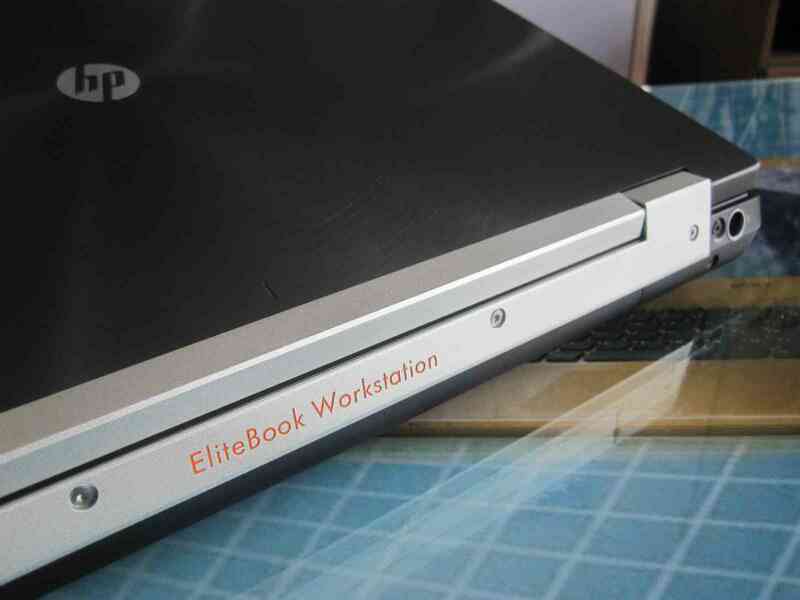 HP offers a three year standard warranty for the EliteBook workstations but also various other options and extensions. The HP Care Pack U7869E, which offers a five year pickup-and-return service, is available on HP”s website for 207 Euros (~$265). The keyboard is supported well and does not flex. 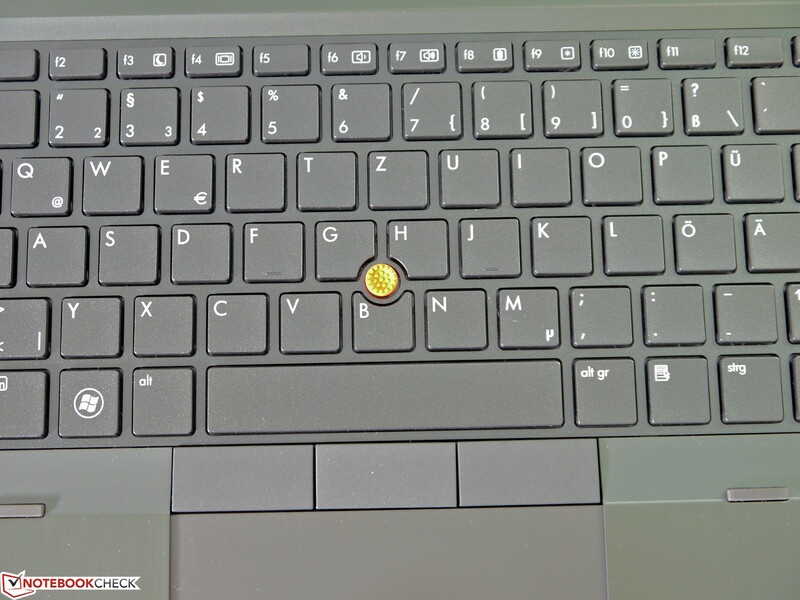 The keys measure 19 millimeters x 19 millimeters and are therefore fairly large, although the arrow keys are a bit on the small side and spaced too closely together. The keys are fairly stiff, key travel is short to medium, and feedback solid. The key labels are easy to read (plenty of contrast) but there is no backlight to help out when the brightness is not sufficient. The keyboard is very decent overall and typists should not have any troubles adjusting. The touchpad is adequately sized, allows fingers to glide well, and responds well to inputs after the initial setup. Standard functions and gestures like zoom, rotate, up/down (and others) are supported. The buttons (three of them) work without any issues. The alternative to the touchpad is the Pointstick, which works reliably and allowsprecise control. The stick protrudes above the keys by the perfect amount, which makes navigation a snap. 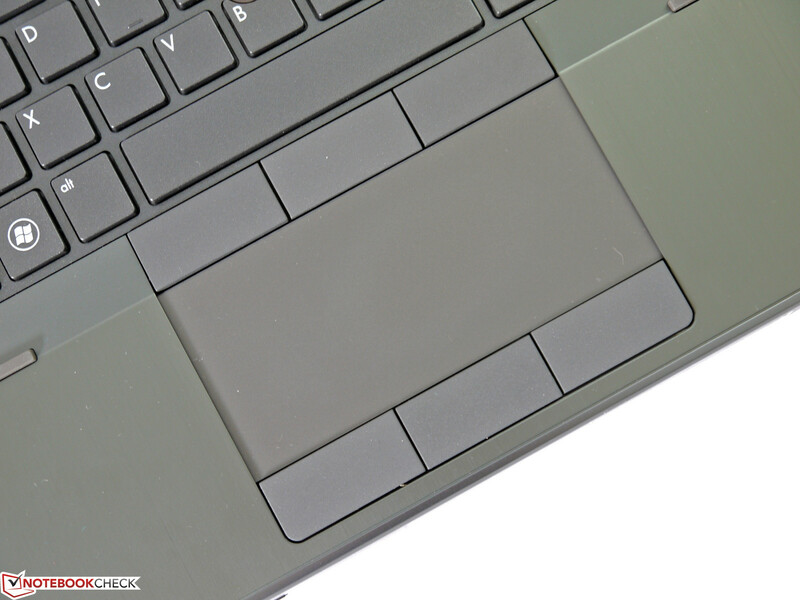 The additional mouse buttons above the touchpad also function as they should. HP does not offer a WXGA display for this workstation - said resolution is only available for the HP EliteBook 8570p. 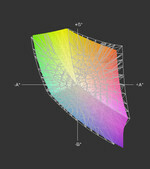 That means that there are three display options: two with very decent viewing angles - either HD+ (1600x900 pixels, 200 cd/m², 60% CG) or Full HD (1920x1080 pixels, 220 cd/m², 60% CG) - and the DreamColor Full HD display (1920x1080 pixels, 210 cd/m², 109% CG) with huge viewing angles and large color space coverage. All panels are matte and feature LED backlighting (the DreamColor display has RGB LEDs). Our review model is equipped with the HD+ entry level display, which offers those who have difficulties with the small icons and text on a Full HD display a good compromise between native resolution and readability. The panel is sourced from LG and delivers brightness levels between 254 cd/m² and 300 cd/m² - quite a bit higher than the 200 cd/m² HP quotes. The brightness distribution is 85% and still good enough to not be noticeable during daily use. Only when the screen is a single color can one detect that the center is brighter. 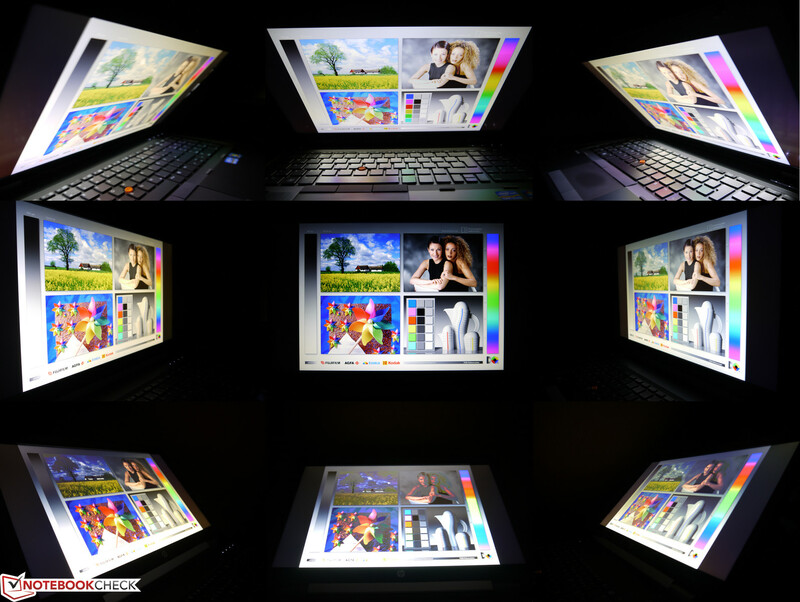 Decreasing the brightness level by five steps yields a display brightness of about 140 cd/m² - enough for normally lit rooms. Outside, the brighter a display gets the better it is - and the average of 269 cd/m² means that the panel only has issues with direct sunlight but is perfectly usable otherwise. The very good contrast ratio of 938:1 improves the readability of text and also the picture quality. Black text stands out more against the white background on this panel compared to what we have come to expect from "standard" displays, while colors are generally more vivid, which enhances photos, videos, and also gaming. The display also covers sRGB to about 92% - very close to the top threshold for displays with white LEDs (only displays with RGB LEDs do much better here). The viewing angle stability is also top notch for a TN panel, albeit not quite on the same level as an IPS display would offer. Horizontally there”s a slight yellow cast and a reduction in brightness - but otherwise the picture is not affected. In the vertical plane, the aforementioned yellow cast is hardly noticeable at all, but the picture "pales" a bit more when viewed from above and saturation increases from below. Washed out or inverted colors - often a limiting factor of standard panels - are not an issue for this display. Our review model comes equipped with the Intel Core i5-3360M - certainly one of theless attractive choices, since the EliteBook 8570w is available in an otherwise identical configuration with an Intel Core i7-3610QM quad-core CPU and Full HD display for about 300 Euros (~$380) more. In addition, our unit only has two RAM slots, which limits the maximum RAM to 16GB. At the time of this review, HP and HP resellers only offer models with Full HD display and the Intel Core i7-3610QM CPU as the top configuration - all the additional hardware components listed in the spec sheet don”t seem to be available. At least the potential buyer gets a choice of all three graphics cards (AMD FirePro M4000, Nvidia Quadro K1000M, and Nvidia Quadro K2000M). Unchanged from the predecessor, the AMD FirePro constitutes the entry level GPU, whereas the Nvidia Quadro K2000M GPU is considered the top of the line. We encountered the Nvidia Quadro K1000M (which our model features) during our time with the Fujitsu Celsius H720 (we found the graphics performance to be quite acceptable and liked Nvidia”s Optimus technology). 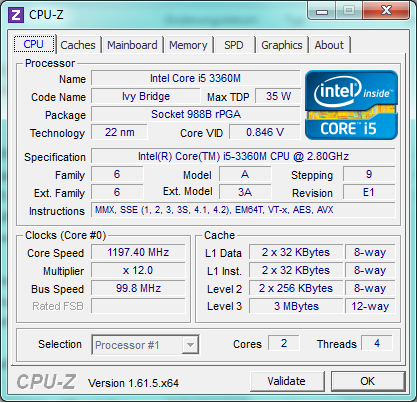 Aside from the (lower) price, the Intel Core i5-3360M certainly has its place in the workstation lineup. Since the frequency is a bit higher (3500 MHz), it can outperform the quad-core Intel Core i7-3610QM if the software isn”t able to take advantage of multiple cores. 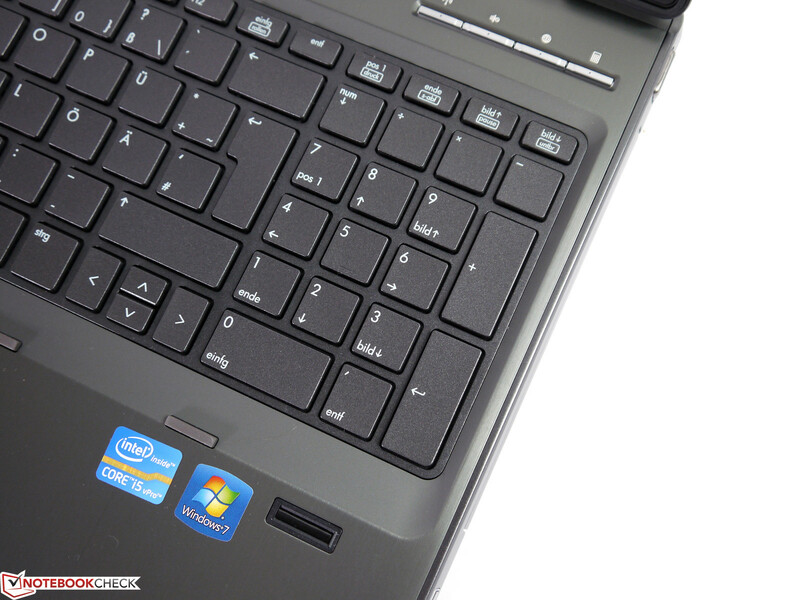 In addition, the dual-core CPU consumes a bit less power (TPU 35 watts), which improves battery life. In the single-thread benchmark tests - SuperPi 32m (606 seconds), Cinebench R10 Single (5902 points) and R11.5 Single (1.40 points) - the dual-core i5 is able to outscore the quad-core i7 processor. The i5 also posted a slightly higher speed when converting MP3s to AAC in iTunes (49.8 x vs. 47.1 x). Of course things change when several cores are being utilized: now the i5 can”t keep up with the powerful quad-core processor. The i5 scored 12464 points in the Cinebench R10 Multi (64 bit), which is quite a bit behind the 20000 points (and more) the quad-core CPU is able to reach. The calculation with wPrime1024 also took longer by about 40% (469 seconds). When we ran our video conversion test of two movies (tasking only the CPU), the Intel Core i5-3360M-CPU took about 30-50% longer than Intel”s Core i7-3610QM in the Asus N76VZ. 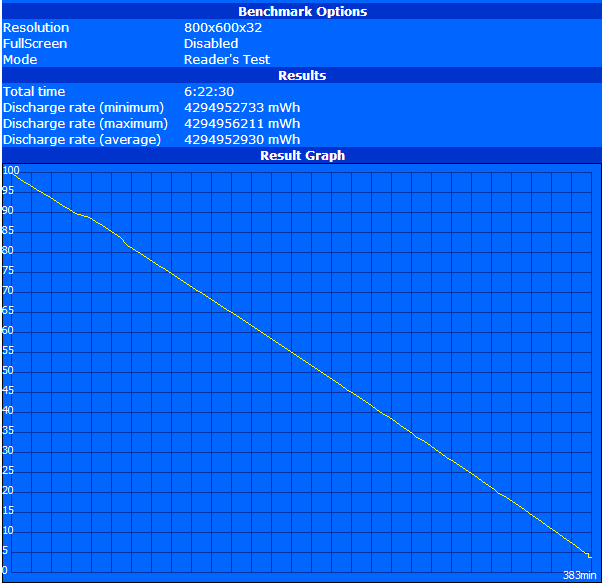 We observed a performance degradation of about 20% when we ran the workstation on battery power. 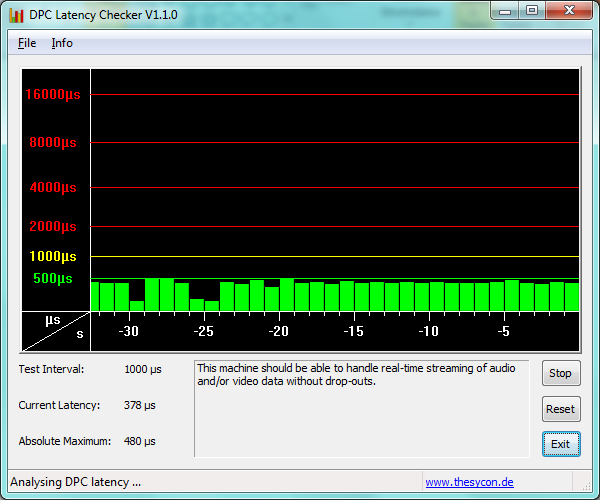 According to HW64, the maximum frequency is now limited to 2800 MHz (3500 MHz when the notebook is plugged in). The Cinebench R10 64 bit scores are now 4911 points (Single) and 10664 points (Multi), respectively. Removing the battery while the laptop is plugged in has no ill effect on performance. Overall system performance is a result of how the individual components (processor, graphics card, RAM, and hard drive) interact with each other. 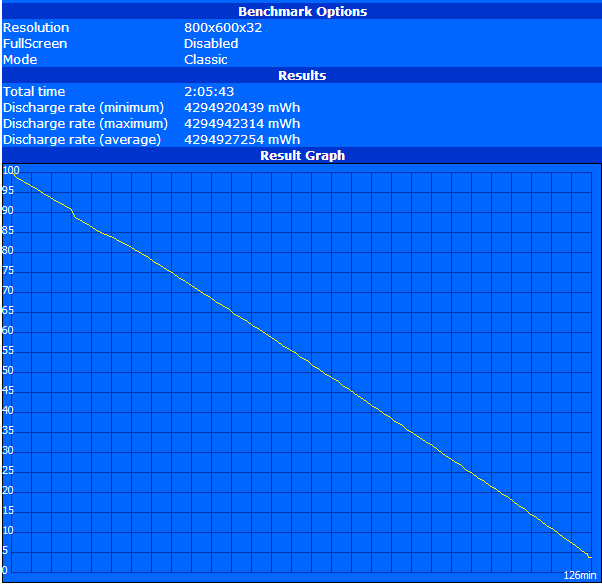 The HP EliteBook 8570w shows very decent performance and should be able to handle most workloads. Office-type tasks, picture editing, and conversions happen without major delays - although the latter would certainly benefit from a more powerful workstation configuration. We were pretty happy with how our review modelhandled the workload - especially when Nvidia”s CUDA technology is utilized. PCMark 7 and PCMark Vantage concluded with 2319 and 8650 points respectively. 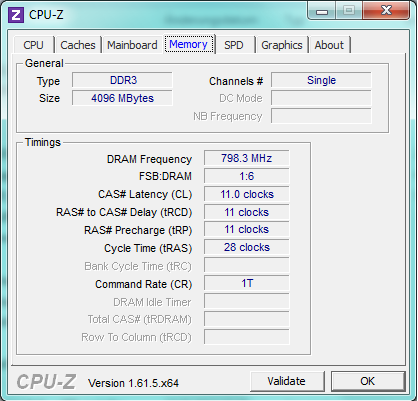 The system”s bottlenecks are the RAM configuration (since there is only one module installed, RAM operates in single channel mode) and the comparatively slow conventional hard drive. Both issues can be remedied fairly easily and cheaply. To make the RAM operate in dual channel mode, we recommend installing a second 4 GB module into the open slot. As far as the choices for drives are concerned, please take a look at the next segment. The conventional hard disk drive (from Hitachi) only offers a capacity of 500 GB, which we consider the absolute minimum for a platter-based drive. Transfer rates, access times, and perceived execution speed are not really up to today”s standards, despite the fact that this is a 7200 RPM drive. One of the reasons why conventional drives are still offered is the much higher costs of solid state drives. The EliteBook has several different options for storage - the best choice would be to replace the old fashioned hard drive with an SSD. In addition, a secondary SSD could be installed in the optical bay (or the old hard drive could be installed there instead). Another tempting option is to use an mSATA SSD in combination with the hard drive or a Solid State Drive. There are plenty of different configuration and combination options, which are probably mostly limited by the budget of the prospective buyer. One thing that needs to be considered is that the mSATA connection only operates at SATA II speeds, which might not make it a suitable choice for a boot drive. We tested the Nvidia Quadro K1000M GPU (which is based on a modified Nvidia GeForce GT 630M) when we reviewed the Fujitsu Celsius H720. This professional graphics card features 2 GB of RAM with a 128 bit bus and scores a bit higher than the GT 630M in most consumer benchmarks (due to the higher core frequency of 850 MHz). 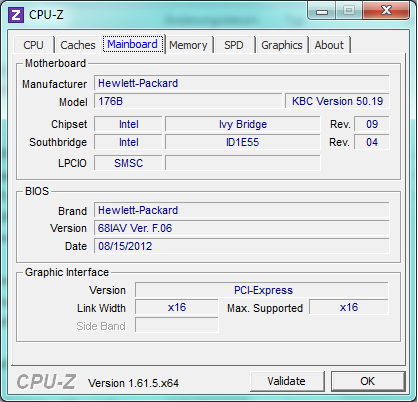 The integrated Intel HD Graphics 4000 of the processor is not used, since Nvidia Optimus is not implemented. The GPU scored 8116 points in the 3D Mark 06 test, 4978 points running 3D Mark Vantage, and 1200 points in the 3D Mark 11 benchmark test. Cinebench R10 OpenGL Shading (6721 points) and Cinebench R11.5 (26.02 points) are also in line with what we expected. The performance advantage of the Quadro K1000M becomes apparent when running applications which can take advantage of the CUDA engine (meaning the graphics processor is handling the load) - for example, professional 3D software like CAD. Compared to the Nvidia GT 630M, the conversion of Big Bug Bunny only takes about half the time - in fact, even the higher-end Nvidia GT 650M is actually slower by a few seconds when running this test. However, when working with WMV-files, the Quadro drops in performance and is now slower than the Nvidia GT 630M. In this case, the performance of the CPU (Core i5-3360M compared to the Core i7-3610QM) matters and influences the result. 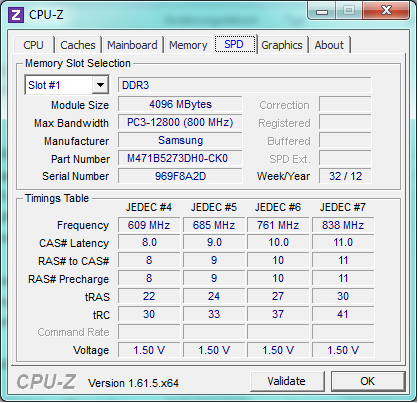 The SPECviewperf11 benchmark test evaluates the performance of different CAD programs. Compared to the Fujitsu Celsius H720, we saw differences of up to 16% plus and 25% minus (depending on the application). We think that the differences can be mostly attributed to the drivers used (advantage HP 8570w) and the performance of the CPU itself (advantage Celsius H720). Overall, the EliteBook offers solid performance - only very demanding applications and projects would need a more powerful configuration. When editing photos in Photoshop CS6, certain filters and 3D-functions are able to take full advantage of the graphics acceleration. Some of the filters - like "oil paint" - only work with the graphics acceleration turned on, others (like "liquify") recommend it. When we worked with "liquify", the differences in process time ranged from instantaneous (just GPU) to 15 seconds (just CPU). When the laptop is running on battery, the CPU frequency drops slightly and performance declines by about 20%. Consequently, the score for Cinebench R10 OpenGL Shading is now 5799 points instead of 6721 points. As far as the suitability of this workstation for playing games is concerned, we can expect a similar result as with the Nvidia GT 630M GPU, although performance is a bit better due to the higher frequency of the Quadro K1000M. For most current games, medium and low settings are needed to allow for a high frame rate and a decent experience while playing. In order to get the cooling fan to stop spinning once in a while, it is necessary to change an option in the BIOS - otherwise the fan is on at all times. Even when the cooling system is silent, the hard drive is not: we measured 32.5 dB(A), which makes the hard drive sound like yet another fan. 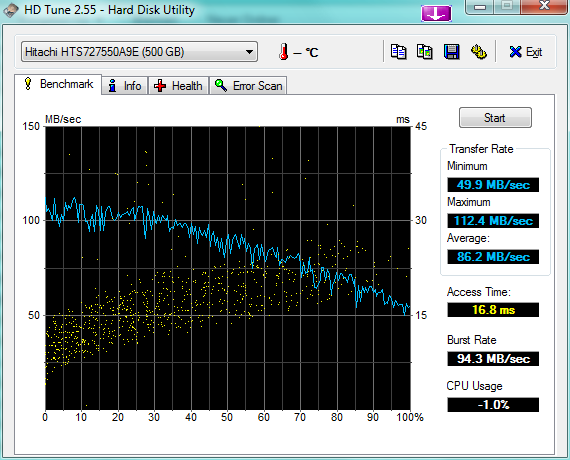 A solid state drive or a less noisy hard drive could improve this situation. When the workload is increased beyond just checking emails, document reading, and internet surfing, system noise increases to a pretty audible 34.7 dB(A). Full load causes the noise level to top out at 49.4 dB(A) -annoying even after a short amount of time. The DVD optical drive is also not really quiet at 37.2 dB(A), which can disrupt quiet movie passages. Since the cooling system is active at all times (unless the aforementioned BIOS setting is changed), the temperatures of the workstation are well controlled. Even after extended periods of load, we never measured more than 38 °C (100.4 °F) even at the surface area above the cooling fan exhaust. Even a higher performance version of the workstation should not tax the cooling capabilities too much. We did not observe any throttling due to heat or because of power (the power adapter delivers 120 watts). The speakers, which are located on the front, produce fairly balanced and undistorted sound as well as decent mids and bass. Even this solution can”t come close to the sound external speakers retailing for 10 Euros (less than $15) are capable of, but overall the quality is better than average. Maximum volume is sufficient for smaller presentations and adjustable in 50 steps. Minimum power consumption of the system is 15.8 watts; the maximum under load is 88.1 watts. The Intel HD Graphics GPU, which is not used, could definitely improve power consumption, especially during low load levels and idle and lead to longer battery life when the user is performing office-type tasks. The power supplyis rated for 120 watts and delivers enough power even during maximum system load. 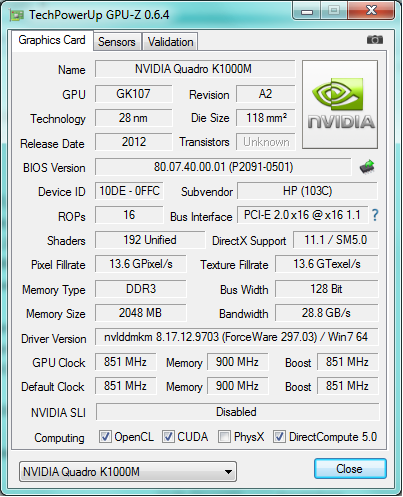 The battery life is still quite decent, despite the performance-oriented Nvidia Quadro K1000M. The reasons are the energy efficiency of the GPU on one hand and the high capacity of the lithium battery (83 Wh) on the other. The EliteBook lasted over 6 hours during our Battery Eater Readers Test (screen brightness on its lowest setting, power saver profile, all wireless components off). When we ran the realistic WLAN surf test (brightness set to 141 cd/m², power saver profile) and the DVD playback test, the notebook shut down after about 4 hours in both cases. During the Battery Eaters Classic Test (all wireless modules on, display at maximum brightness, performance profile), the EliteBook still lasted slightly longer than 2 hours - a benefit of the reduced CPU/GPU frequencies while on battery. 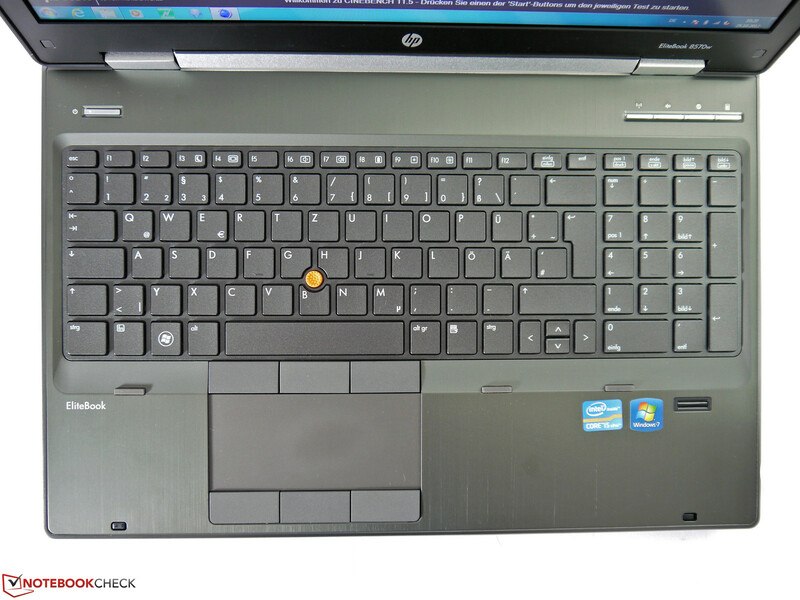 The HP EliteBook 8570w is capable of performing most tasks very well - despite the somewhat low-end configuration. The only major point of criticism: HP didn”t implement Nvidia”s Optimus technology (our review of the Fujitsu Celsius H720 left us with a very favorable impression of this technology). As a result, HP”s workstation loses some points due to higher noise levels, higher power consumption, and a reduction of the possible battery life. In addition, Quick Sync (Intel”s hardware video encoding and decoding technology), which is built into the CPU, is also not available - some users who need to work with videos a lot might not be too happy about this omission. The reason why the HP EliteBook 8570w still managed to score a "very good" is due to the very well executed chassis, the exemplary port selection, the very good display, and ease of expandability. The EliteBook also manages to live up to workstation standards in other important areas - like input devices, warranty coverage, and overall system performance. Last but not least: the price. Compared to other configurations, our review model of the HP EliteBook 8570w seems a tad overpriced. Maybe HP will change the price-performance ratio down the line - otherwise it might be better to choose a different model of the series.